We cruised several miles out into the Pacific off San Diego in search of whales, but saw none. 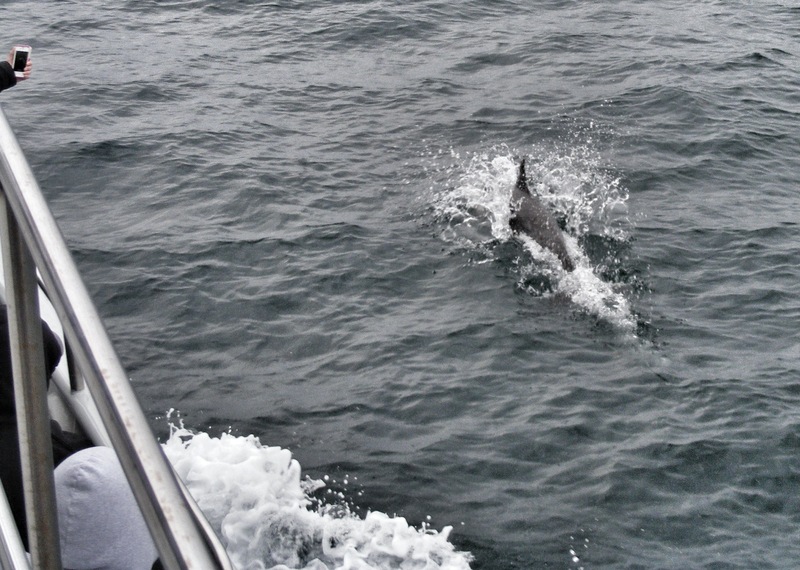 We were well on our way back into Mission Bay when the captain spotted a pod of dolphins. I rushed to the upper deck and found a spot by the railing. The marine biologist on the boat got on the intercom and told us what to look for. It wasn’t a large pod. 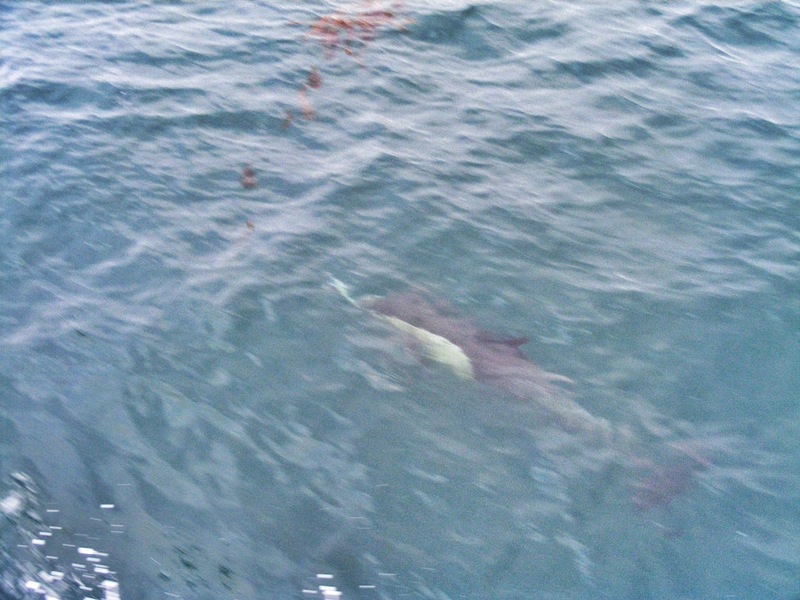 I don’t think I ever saw more than three dolphins at once, but there may have been more than that. A couple of them raced toward the boat and a few of them fell in beside it. I spotted one bow-riding just below me. 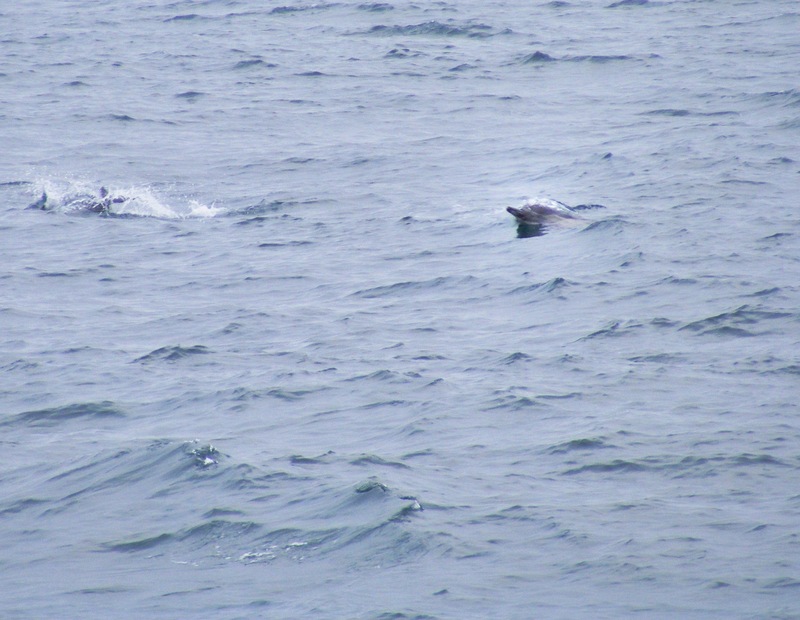 We were told they were Common Dolphins, and I learned later from the biologist that they were Short-beaked Common Dolphins. I have to take her word for it, because my photos aren’t all that great. We circled for a few minutes, then headed into port. I spotted them off to the south a ways, porpoising through the waves. 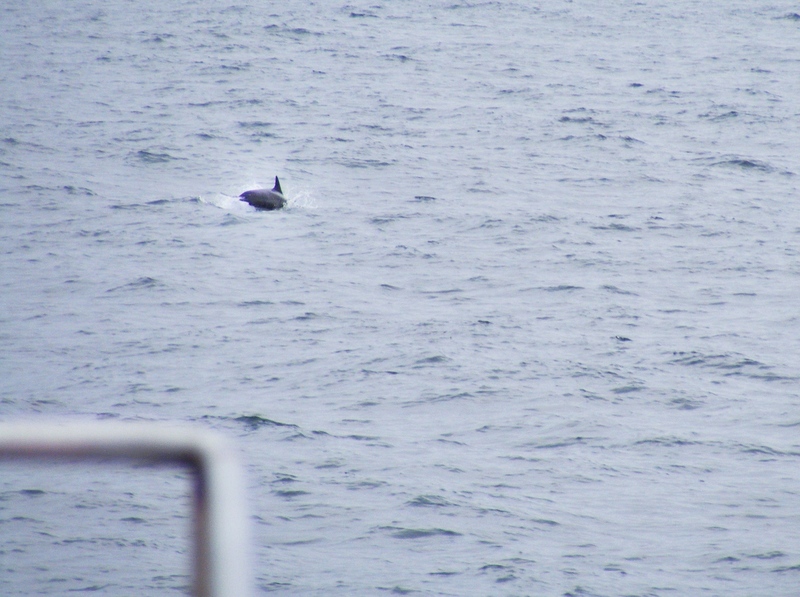 The earlier cruise had seen a pod of 50 including babies. Such is life.